So, the plan we (all except The Farmer, for whom Saturday is an off-Homestead work day) brokered for today was a bit of a sleep in (once upon a time that meant midday, at the earliest but nowadays we’re taking 8am), animal tending, coffee, a variety of tasks, lunch, and lax out. Some had books with their library due date rapidly approaching, others wanted to catch up with correspondence and one was planning total decadence: an afternoon snooze. Perhaps we dallied too long over coffee, maybe we underestimated the size of the specialised jobs we set out to conquer, but somehow we never did get to put our feet up. But out front, everything is pretty much double parked. The Renovator had been set a few tasks to tackle by the Dynamic Duo, so he spent the day tacking up battens, removing the window surround, and generally getting The Farmer’s room ready for the next big step: gibbing. 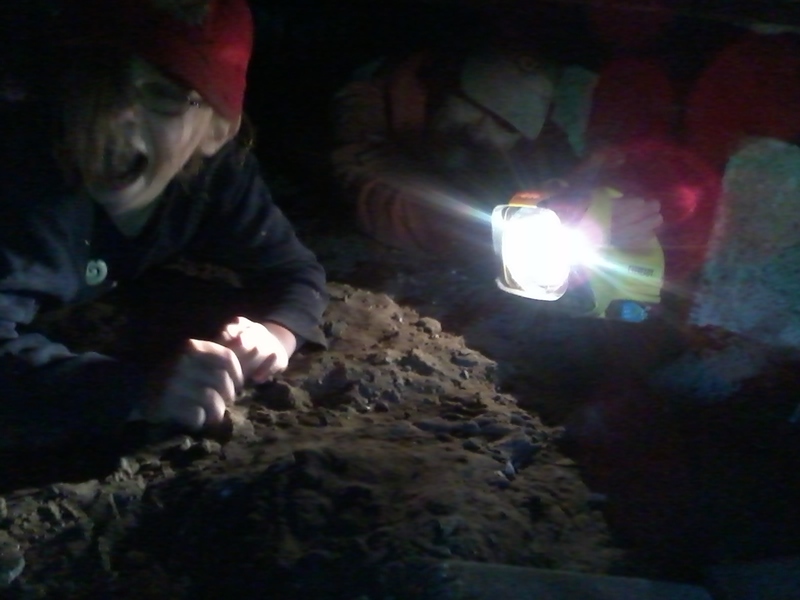 While he was doing that, The Bean Counter and Farm Girl, who are always up for the muckiest jobs, chose to crawl under the house to reposition the phone/internet cable. Our plan is to run our Internet modem from the store cupboard, a more central position on the Homestead. It may be the devilishly clever answer to our sometimes fluky signal …or not. Time will tell. So, we didn’t get to have our lazy day today. Instead we spent the day doing things that may not even work in the long run. But then again…nothing ventured, nothing gained. 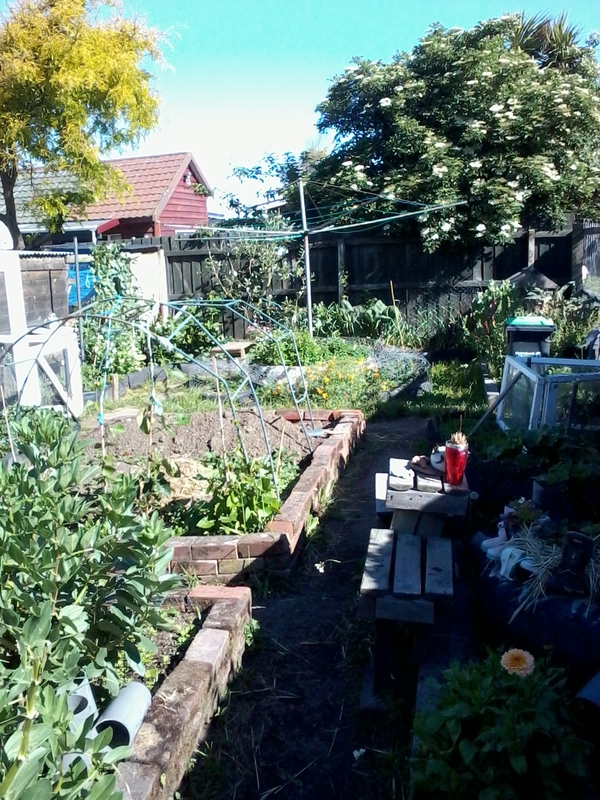 This entry was posted in Garden, Union Homestead and tagged allotment, Aotearoa, Christchurch, garden, gardening, Homestead, Homesteader, homesteading, kids, maintenance, NaBloPoMo, New Brighton, New Zealand, Otautahi, renovate, renovating, renovation, Saturday, smallholder, smallholding, weekend, weekends. Bookmark the permalink. Good luck with the re-positioning of the cable and well done to the intrepid workers under the house, I liked the smiling picture. Me too, especially as it meant someone else enjoys a job I really, really don’t. ps did I spot broad beans in your garden??? I love broad beans! We also love broad beans; can you tell?! 🙂 Broad beans also love our soil, so it’s a win-win situation. I am the dirty jobs person round here – as long as I know I can get clean again, I usually am able to take a deep breath and plunge in – but I admit, crawling around under the house would have required a DEEP breath. Well done the intrepids. 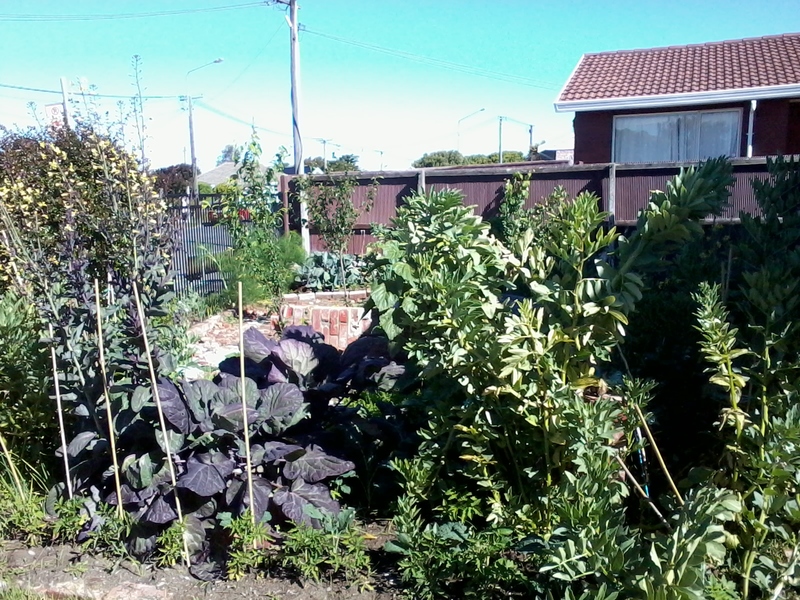 You’ll have to give a catalogue of what you’ve got planted sometime – I too was focussed on the broad beans, which look plentiful and massive. 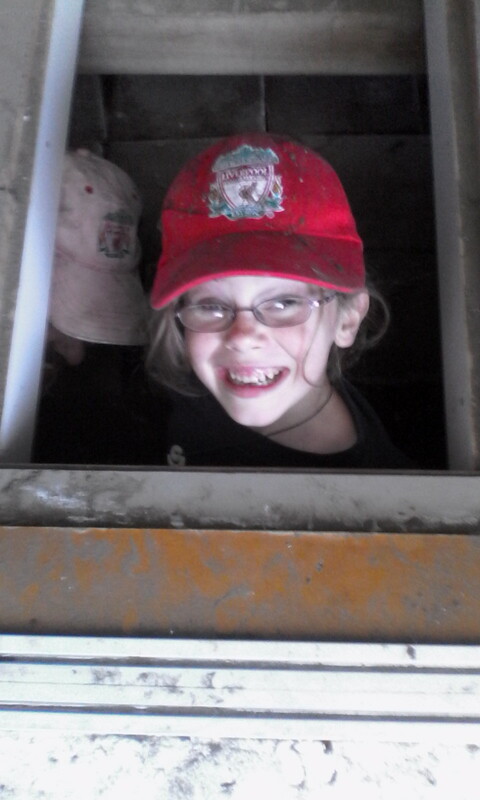 I really don’t enjoy exploring the unmanned places of the Homestead (like the ceiling or underfloor) so am very happy that The Bean Counter, and now also Farm Girl, are more than happy to don a cap, tuck their jeans into their socks and shuffle around in confined spaces. My Dad always grew his quite tall, and never pinched out the tops. Actually that’s not quite true – he ate the tops sometimes. I understood the pinching out the tops thing was a way to prevent black fly – certainly never worked for me. Hope you do get a better signal now! Maybe tomorrow will be a day you can put your feet up….